My youngest sister, Nila Marxer, lives in Southern California. She has taken care of my 88-year-old Mother in her home for six years or so. Nila is an Angel sent from God to our family. Mom lives in an apartment inside Nila’s home. My Mom’s health is not very good anymore. Her short-term memory loss has alarming worsened recently. It makes my phone calls to her, extremely painful for me. Mom has a problem of not remembering even the day of the week. A few days ago, she wandered out of her room before midnight and went into the main living room. She turned all the lights on. At 2am, Nila came out of her bedroom and found Mom standing there looking around. That was unwelcome news. It was like one of your worst fears coming true. I am very grateful to Nila for being so loving and patient. Last night while on a Skype video call to my sister, I got to see her, her husband Eric, and my Mom. Mom was all smiles. With her voice breaking, Nila talked to me about Mom, with Mom sitting beside her. She talked about health issues that Mom was currently dealing with. Then she said that her and Mom had talked about her memory loss. Mom expressed her greatest fear to Nila. That statement ripped my very heart out. Of all people, my Godly Mother who has had the Holy Ghost for 80 years. She labored with Dad in the ministry for over 50 years. And now, she worries that in her memory losses, she might forget about God. I looked at Mom and Nila seated in front of their computer and I started with Psalms 100. Mom said: all ye lands. Mom said: come before his presence with singing. She said: we are his people, and the sheep of his pasture. She said: and into his courts with praise: be thankful unto him, and bless his name. She said: his mercy is everlasting; and his truth endureth to all generations. In a day when so many are willfully forgetting God, my heart is overwhelmed by the fears of my sainted Mother. « Someone’s Praying For You! This made me weep! I never want to forget where He found me and His love to me. THank you! This made me cry. I don’t think your dear Godly mother will ever forget God, but if she does, you can be sure that God will not forget her. Thank you for sharing this with us!! She is a wonderful mother and Saint of God!! One thing is for sure …. God will never forget her!!!! Praying for you and your family!!! Love you!!! I love your sweet mother. Your parents’ visits to Fresno when I was a young person in the late 80s and early 90s were highlights to me. You made me cry again. Love you dear. i cried as well. thank you Bro. Ballestero for sharing this! My eyes are wet. There’s a catch in my throat and in my heart. I love this godly woman. She is, indeed, a saint. Thank you for sharing this. Thank you for being such a friend of Truth and of Truth lovers. I highly honor you. Thank you for reading. Tears are pouring down my cheeks!! The sadness of this post is great but the power of it is greater!! Your precious mom has godly written all over her and that little old chorus ‘write Your Name all over my heart’ comes to mind. Love your blogs. My heart ached when I read this, you see my mom is eighty two years old, she received the holy ghost at age sixteen. She stood beside my father for twenty five years as he pastored a small work. She has dementia now and I miss the woman that she was. But what is so wonderful about my mom is she can quote scripture like no one else. She may not remember yesterday, but she remembers to remind me to stand and then keep standing. Dear Marty, I don’t have adequate words to express my anger and hate against Satan, that old Dragon, the Devil. He is the author of SIN, SICKNESS, DISEASE, and all things SAD and HURTFUL. I had some of the same thing with my Father. I kept him in my home for the last 3 years of his life. He was 93 when he died, and could remember things, and friends from his teenage years in Arkansas, but not something that had happened yesterday. I am praying for you all, I know the pain. This is beautiful. We can never forget what our Awesome God has brought us from. I love reading your blog. I pray that your Mom’s memory will always be strong when it comes to God. I love you both. I hate this disease, but so thankful to see these precious moments in the dark times. You are an Angel, Nila. As I was tearfully reading your post, I to have experienced this deep sadness as we speak with our mom. The scripture came to mind “Hide Thy Word in my heart so that I might not sin against Thee” No manner of Dementia will cause her to “forget” We might not be able to comfort her with these words as she will not even remember she said them to you but it is a comfort to us. What she has is embedded deeply in her DNA. It is hidden in the recesses of her heart. She will not forget. Before dad dies and he was oblivious to everyone or everything, all we had to do was ask him to pray and it was like a miracle moment. He would enter the Throne room as if you didn’t exist. It was amazing moments. As they leave this world and step foot into the other we will see such moments and cherish each one. Love you Marty and thank you for your kind, tender love to our parents. Thanks for sharing this moments as well. It really does help make sense of this terrible sickness and just the sharing relieves the anxiety of it all….. I have a lump in my throat as I finished reading about Sis. Ballestero. 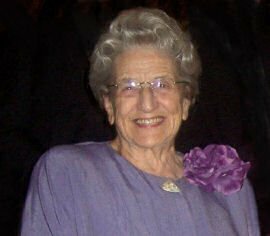 She was such a blessing of encouragement to us, Ken and Mary Dyson, when we were young evangelists on the evangelistic field. (Bro Ballestero called it, “lipstick field)LOL She always made us feel so welcome and special. Thank you so much for the sweet comments. We have the fondest memories of our times with you all. love you. Weeping and praying with you Elder. This is so heart-wrenching,I sobbed when I read this.I can only imagine the mansion god has awaiting your precious mother.It might even be right next to my precious moms.I dont think Ive ever met you,but I know & love Ramona & Nila dearly.I was very young when your mom & dad used to come preach at Rev.A.L.O’Briens church.But,I still can fully recall the kindness that emitted from the both of them.Thank you so much for sharing this! That’s how my mom Sister LuDean McKinnies started with her memory loss. Going to church was her life, she loved to play the piano for Christ Temple. Before she was always trying to get me to come to church…now it’s me and others that’s trying to get her to come. When she does come she loves it. She can set down at the piano remember & play all the songs for that service. She still loves and praises God. It’s just getting her to leave the comfort of knowing where she is to some confusion at first, but once she’s at church she’s ok. Thank God for my sister Pat just like Nila for being there for mom. Thanks so much for sharing this. I am so touched by this, but somehow not surprised that this came from this godly woman. She is indeed one of the most, if not The Most christian ladies that just shines with the love of God. I love Sis. Ballestero so much, and I will always treasure every nugget of truth that I have received from her. I pray for you and your family during these days, but know that God will be with you all. You are so blessed to have her still with you for so many years. God bless you and your ministry, Bro. Ballestero. I remember being in service with your parents as they preached in Lansing, Mi., pastored by Marcia’s grandfather, Hebert Starr. I remember your father preaching and your Mom singing…I remember her presence “filled the room.” She was dynamic and spoke very kindly to me during their time in Lansing. I can’t imagine your pain, just know that your parents impacted 1,000’s of peoples lives. Only eternity will reveal what true, Godly, and how wonderful your parents are! I remember when your Dad was going through this yet you could say something and the fountain would open up. That treasure he hid in his heart was still there. God bless your godly Father & Mother. You have such a rich heritage. if this is the same Sister Ballestero that I had the oppertunity of meeting years ago than this is a great lady of God. I remember Brother and Sister Ballestero going to Las Vegas and also I remember them at camp meeting in Santa Maria. I remember thinking that just looking at them “they had a royal look ” about them. Sister Ballestero wont forget God because she has God living in her heart and she also has royal blood flowing thru her veins! i saw sister Ballastero a few years back in Sanbernardino Ca and she is still one of the sweetest Godliest Ladys that I have had te privilege of meeting,,,,,,All of the Ballesteros are Godly Christians…I am saddened ….But she has the word and Her living God deep in her heart. God Bless!!! We love you!! It has only been in recent years that I have been around your mother much–and even then not too often. I said to her once, “Sister Ballestero, I feel cheated in that through most of my years, I did not have the opportunity to know you.” I definitely feel that way. Thank you for this beautifully presented piece. I weep with you, your family, and other friends. This was an AWESOME post!!! Thank you!!! My husband read this to me and of course we cried together. I have not forgotton the teaching and wonderful example that Bro. and Sis. Ballestero were to us. I am so thankful for them.As I listened to this story I said Sis. Ballestero will never forget God. Even if the mind can’t remember at times the heart will not forget. She has the Lord in her heart and will never forget. It made me think of the song, It’s in my heart this melody of love devine, It’s im my heart since I am His and He is mine,……. No she won’t forget.It’s still in her heart. We love you all. Lord bless Nila. I agree she is an angel. Thank you so much for sharing your thoughts. I can very much relate to your words. My Mother is going through something similar to what you describe. It is truly heartbreaking. When I think of her faith in God and the many prayers she has prayed, through the years, it reminds me that the Godly influence of our parents and grandparents lives forever. May God bless those who have paved the path before us and been such Christian examples. They may not can remember the day of the week or even who we are, at times–now, but God has not and will never forget them! May the memory of their example inspire us to NEVER forget God! I did not have the blessing of ever knowing your lovely mother, but this story moved me immensely. I cried thinking about how your mom loved the Lord so much that she was afraid of forgetting him in her final illness. Oh, that we would live so near to God as she did; that even if we should lose every other mental capacity, we will not forget Him! May she rest in peace!